Since its release in 2012, Tinder has become increasingly popular among mobile gamers all over the world, proving once again, like Flappy Bird did, that much fun can be had with just the simplest of touchscreen interactions—swiping left or right. Unlike Flappy Bird, however, playing Tinder requires a little bit more thought, and here I will share everything worth knowing about the game, including some tips to beating it. If a player's bio has any missing or misplaced apostrophes or any grammatical errors at all, swipe left. If the bio is in jeje-speak, for that matter—and this includes the use of sticky caps or symbol clusters previously seen only in mIRC chatrooms ('*-._.-*'=aReN't U iMprEsSed bY My tYpiNg sKiLLZzz?='*-._.-*')—swipe left. If a player's bio shows just one link to a social media account such as Facebook, Twitter or Instagram, it means he or she is a tad less narcissistic and self-involved than everyone else. You may swipe right. But if the bio has links to more than one social media account, swipe left...and then have fun judging that player by his or her tweets, selfies and cross-posted Buzzfeed quiz results. If a player's name has a seemingly erroneous "H" in it, request a copy of his or her birth certificate or any government-issued ID. If Jhoy is not really a Jhoy according to legal documents, swipe left. If a player's default profile photo, or any photo in his or her collection, has either the duck face for women or the arm-raised-to-show-pit pose for men, swipe left. Come to think of it, the duck face on a guy is even more appalling, so swipe left for that too. If a player has a photo of him or her doing a too-serious, something-from-a-teledrama-photo-shoot pose or, God forbid, a look-I'm-holding-this-landmark-on-the-palm-of-my-hand pose, swipe left. Because any unnatural pose that makes you look like you're trying too hard means that you are trying too hard. The exception to the rule is a wacky face. But not too many wacky face shots as this indicates an inability to manage a normal smile, either due to dysfunctional facial muscles or low-self esteem, so swipe left for that too. If a player has more than one photo of the same shot, either the same exact one or a cropped version of it, well, there's simply no explanation for it, so just swipe left. Same goes for a collage of the same moment but in slightly different poses (umm, just pick the best photo to post, right?). If you're pretty sure someone on Tinder's a celebrity, snap out of your daydream and just swipe left. Ten to one they'd be swiping left on your profile anyway. 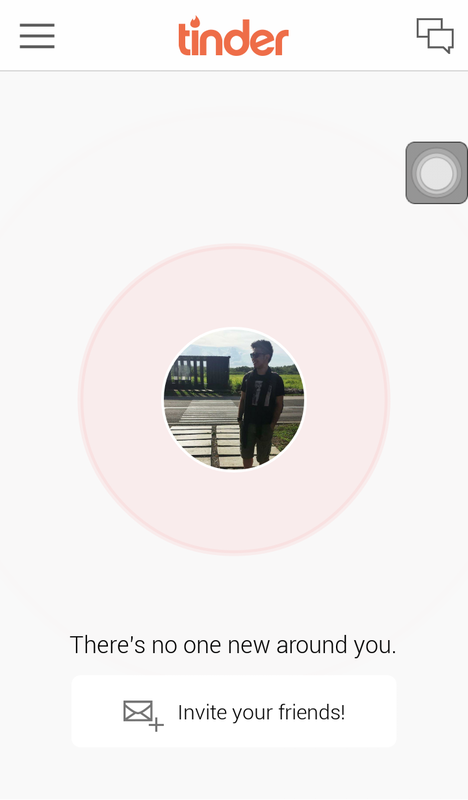 If you're playing Tinder on Flames mode, make sure you've enabled the Discovery setting or you won't get any matches. Untick it on Flash mode so you shave off one or two seconds of getting the "It's a Match!" screen for every match, but leave the setting on if, like me, you'd rather be challenged this way. Sure, the game will reset and give you players to swipe through again anyway, but a harder game is more fulfilling to beat. You can even further increase the game's level of difficulty by ticking both gender boxes, increasing the Search Distance range and widening the Show Ages gap in the Preferences screen. Personally, I think there's no other way to play Tinder than on Flash mode where time is of the essence. The rumors have been confirmed true: Tinder developer InterActiveCorp actually measures how fast each Tinder user gets to the finish screen and how many times that is achieved on a daily, weekly and monthly basis. They'll soon be phasing out the free version of the game to be replaced by a premium one where, like with Facebook page owners and web builders, you can monitor your performance statistics (including the trend in swiping direction) and compare it with others. I'm sure they'll be charging an exorbitant amount for it, so if I were you I'd make sure my stats are stellar now so I can impress with them later.